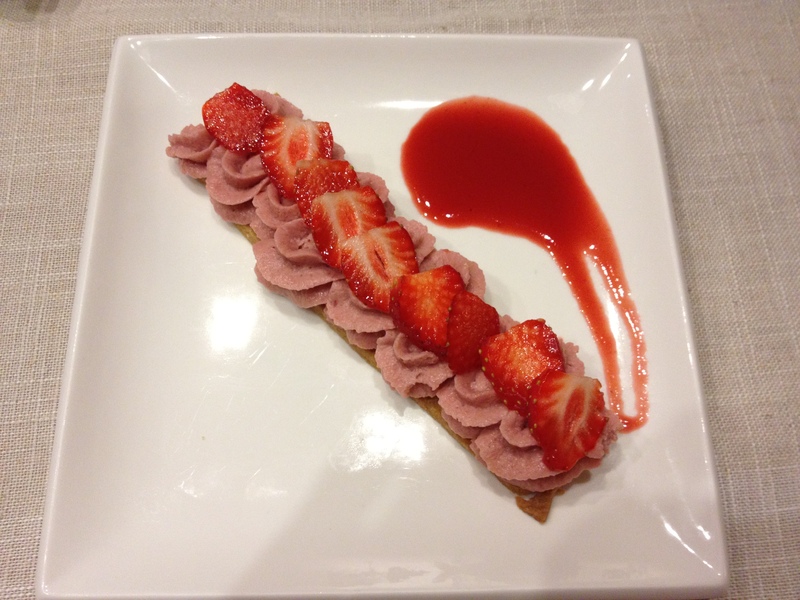 This is a fairly simple dessert that makes for an impressive presentation. It is best prepared in strawberry season, but any berry will do. 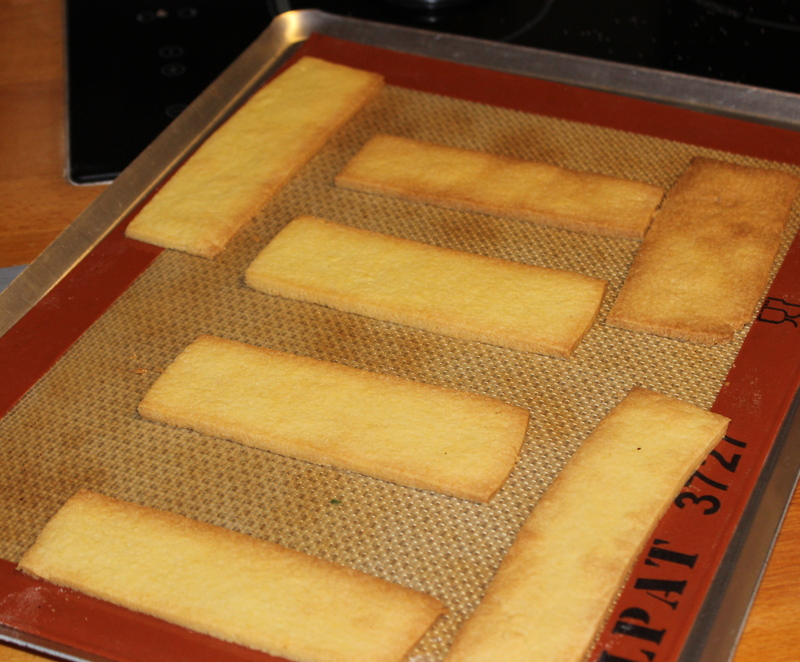 Make sure to roll out the shortbread pastry very thinly, otherwise it can be more difficult to break with a spoon or fork. Agar-agar can be found in any Whole Foods or specialty market. It is a vegetarian gelatin, but it is often used in baking as a thickener. It is a clear, tasteless, gluten-free ingredient made from seaweed and very high in fiber. It dissolves in hot liquid and thickens at room temperature. Prepare the pastry. In a bowl, combine the flour and sugar. Cut the cold butter into cubes. Mix the butter with the flour and sugar. Use your fingers to make it into a sand-like texture. Make a well in the mixture and put the yolk in the middle. Mix to combine. Take the pastry batter out of the bowl, wrap in cellophane, and chill for at least 20 minutes. 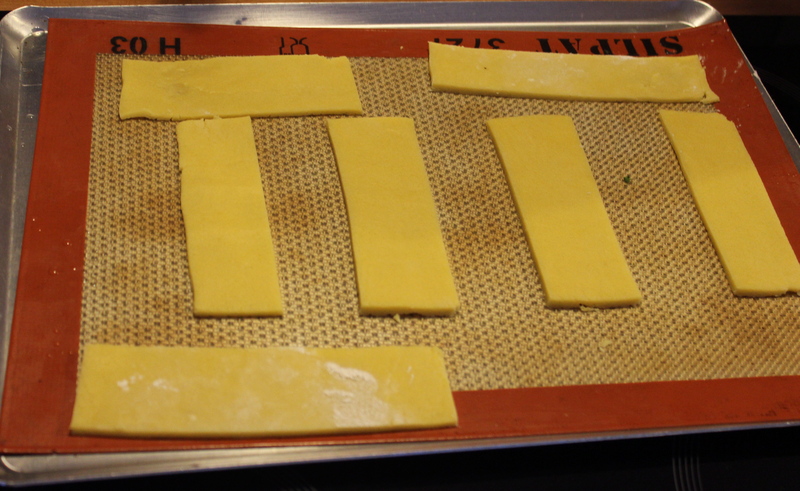 Roll out the pastry very thinly. Cut into rectangles or circles. Bake for 15 minutes and cool on a rack. Prepare the mousse. In a small saucepan, warm 200ml strawberry sauce with agar-agar and sugar over medium heat. Bring it to a boil for at least one minute. Remove from the stove and reserve. Whip the cream to get a Chantilly. 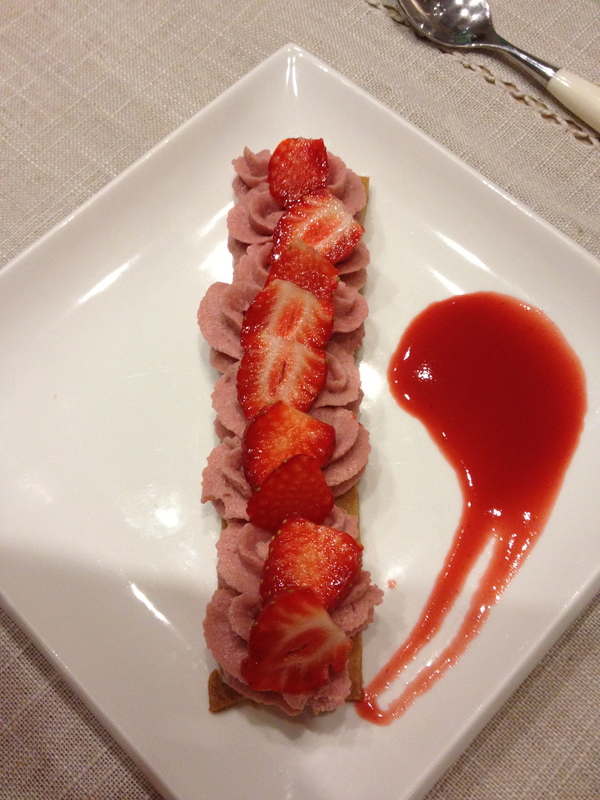 Incorporate the cream into the strawberry sauce by delicately folding it in. Chill for at least 1 hour and 30 minutes. 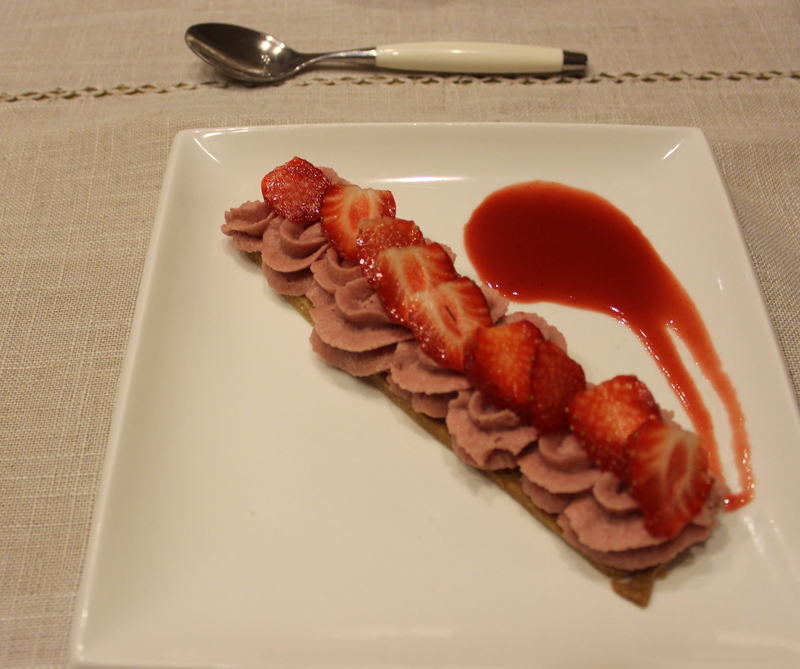 Fill a pastry bag with the strawberry mousse and pipe each pastry. Decorate with sliced strawberries. Et voila! 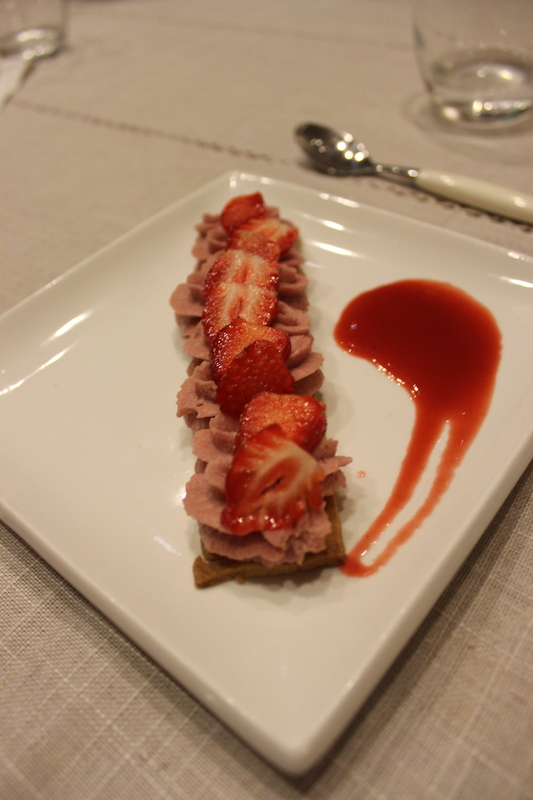 Serve with the strawberry sauce.